6.3 !!!!!!!!!!!!!!!!!! Attention Please !!!!!!!!!!!!!!!!! Attention Please !!!!!!!!!!!!!! 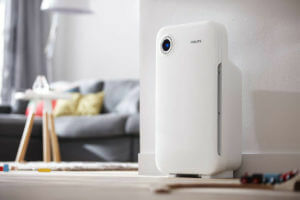 The Philips AC4012 Air purifier is meant for small rooms. As a result, its effectiveness or area-wise coverage is limited. The design and looks are sleek and aesthetically pleasing to the eyes. This purifier is filter based.What it means is that it employs physical sieves(filters) which trap the pollutant particles when they impact or collide with the filters. The first filter facing the front side is the pre-filter which traps the bigger particles like hair, dust and pet dander. 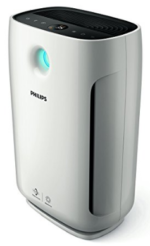 Its noteworthy about Philips purifiers that they all have True-HEPA Filters. HEPA is an acronym for High-Efficiency Particulate Arrestance. 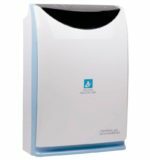 HEPA Filters are capable of removing ultra-fine particles including viruses. 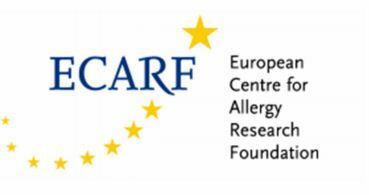 The complete range of Philips purifiers is certified from AirMid and ECARF– which is the European Centre for Allergy Research Foundation. For uninterrupted sleep with no disturbance, the sleep mode is a good feature. In this mode, the fan speed is the minimum, due to which there is no noise of the fan. 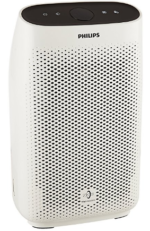 The decibel rating of this purifier during sleep mode is 34 decibels. 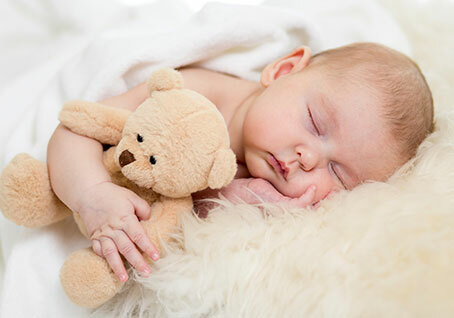 The air quality lights and other LEDs are also dimmed for less distraction during sleep. 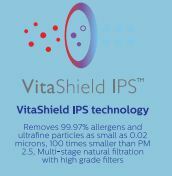 To filter out Ultrafine particles, allergens, bacteria, and viruses with size >0.02 micron. 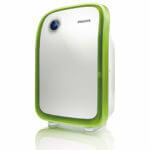 To display air quality levels this purifier changes the LED colors. Red color indicates Bad air quality; Purple color means the air is fairly clean but still somewhat polluted. 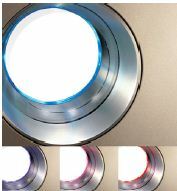 Blue color assures of good quality air as pure as it can get. You can adjust the fan speed according to need. For quick cleaning of the air in a room, the Philips AC4012 Air Purifier when set to the maximum fan-speed setting removes the pollutants much faster than the slow/medium fan speed levels. To set the number of hours of operation and then automatically switches off. 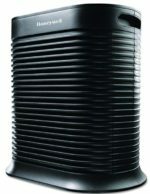 There are a whole lot of Air Purifier manufacturing brands in the market. It’s really difficult to make up ones mind as to which one to prefer. Within a single brand itself, there are a no. of models. 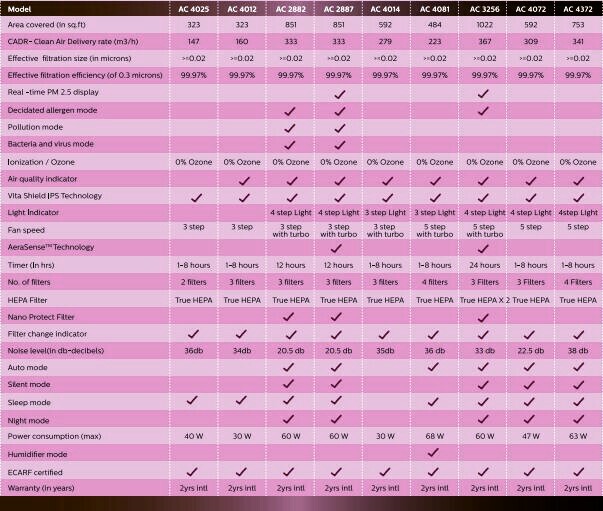 Generally, the costlier models have the Best features which a company has to offer. As of October 2017, the AC4012 costs just less than INR 16,741 (check current price). 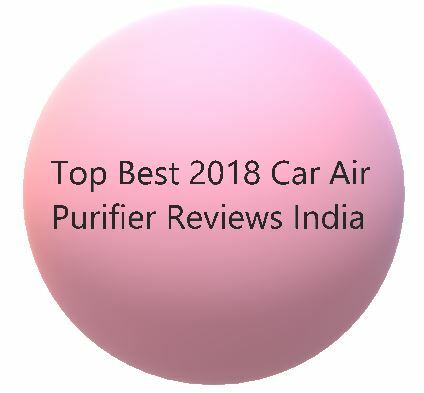 Simply speaking, the differentiating factors on which the choice of purifiers should depend are the effectiveness in terms of whether the purifier actually cleans the air and removes the various pollutants(organic and non-organic) that they advertise to do so confidently? 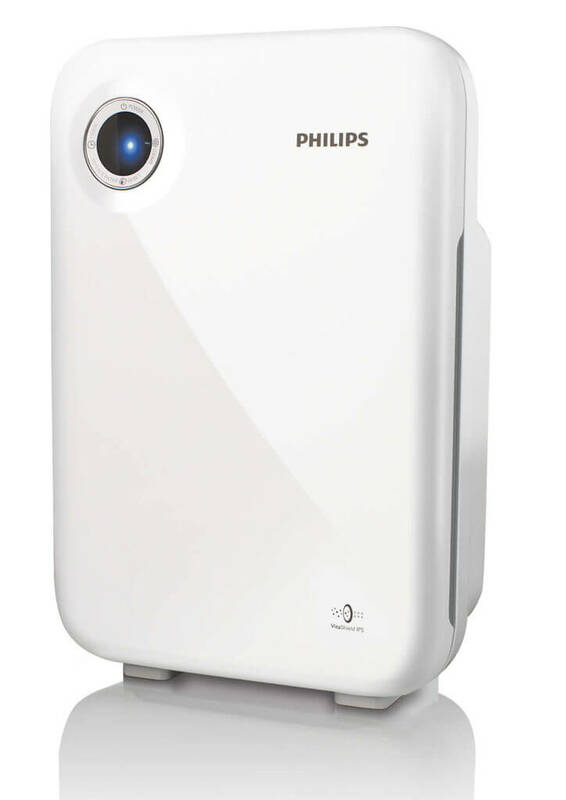 The costliest (and so to speak the best) model from Philips Ac4372 is also a very good option. 1. 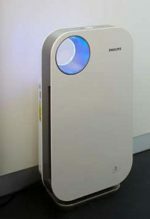 Philips AC4012 Air Purifier is suitable for use in places which are not too close to open sources of pollutants like busy/dusty roads and beneficial for Allergic Rhinitis, Asthma patients. Greatly reduces indoor pollution but effective for only small confined spaces. 2. Pre-filter prolongs the life of HEPA and carbon filters. 3. Easy to install, portable and convenient to operate. 1. Air quality indicator lights are not very reliable especially if there’s an open source of outside air nearby. 2. 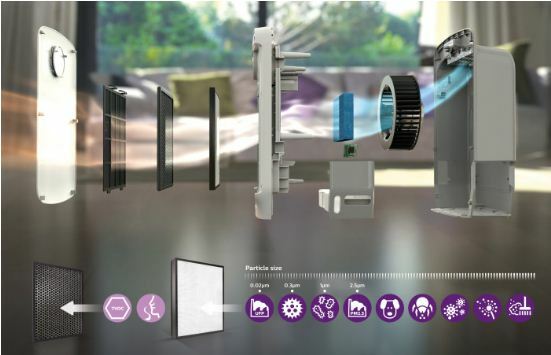 Filter life is not very predictable and can greatly vary from the description mentioned on official site; with air pollution conditions. Recommended to use it in places where there is a low-moderate amount of pollutants i.e. not near direct sources of pollution like dusty roads or open windows. Frequent cleaning once every 2 weeks is advisable for highly polluted environments. Note-No extra set of filters shipped with the product. !!!!!!!!!!!!!!!!!! Attention Please !!!!!!!!!!!!!!!!! Attention Please !!!!!!!!!!!!!! “How? It’s simple. Like us on social media and leave an encouraging comment. Join ETHCASH group on Facebook. We would want you to write reviews on the product for us depending on your experience. If your write-up satisfies our quality control, we’d reward you for your help. You may share your PAYTM number with us and we’ll credit the money to it. ∗T&C apply.